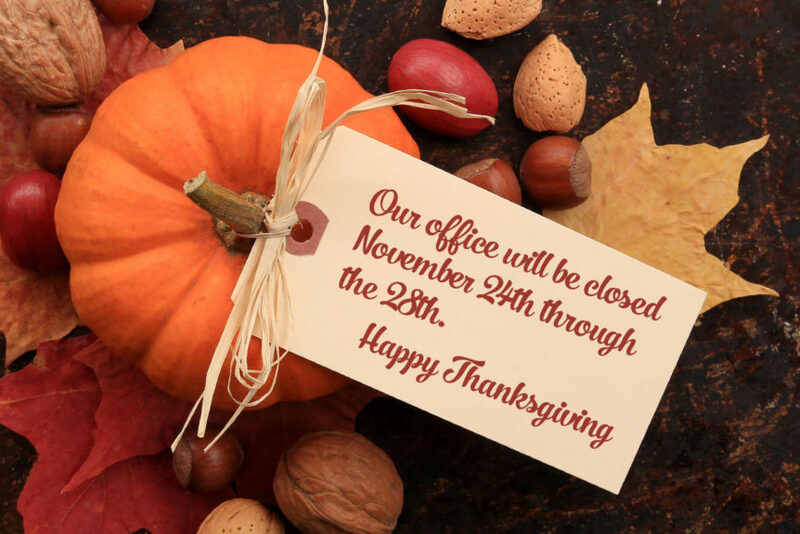 Our office will be closed from Thursday, November 24th through Monday, November 28th , 2016 to observe the Thanksgiving Holiday and for scheduled software maintenance. During this period of software maintenance, we will not be able to respond to your e-mails. We apologize for any inconvenience this may cause you. We’ll be back in the office Tuesday, the 29th at 8am. Have a Happy Thanksgiving!